The Institute of Certified Bookkeepers, better known as the ICB, is an external examination board. They are a Quality Assurance Partner (QAP) of the Quality Council for Trades and Occupation (QCTO). They are a provider of accredited business and accounting qualifications. How Did The ICB Start? The ICB has existed since 1931. Back then they were not only education and training based, but also offered professional membership. These two parts split in 2015 when academic guidelines and laws changed. The professional membership split from ICB to form what is known today as the ICBA or the Institute of Certified Bookkeepers and Accountants. Being a QAP of the QCTO means that their courses are also measured on the National Qualifications Framework, which means that if you study a course by them your qualification will be NQF rated. The NQF levels is a way to measure qualifications in South Africa. This means that it is possible to see which courses are more advanced than the next, even if the course is presented by two different entities. For example, Matric is an NQF 4 course, but a Bachelor’s degree is NQF 7 therefore it is easy to see that the degree comes after Matric. The NQF is run by the South African Qualifications Authority (SAQA), which means that any NQF level course has a SAQA ID as a way to say that they passed a test to determine its level and quality. What are the ICB Courses? The ICB offers five streams of courses. These are Financial Accounting, Office Administration, Public Sector Accounting, Entrepreneurship, and Business Management. Below is a breakdown of these courses and their subjects. This course is aimed at people that want to become an accountant or bookkeeper. It teaches you all the ins and outs of bookkeeping, financial accounting, income tax, financial management, reporting standards, corporate strategy, management accounting, and research. This is the entry level course and takes 12 months to complete. To begin the course you only need Grade 10. The course also assumes that you have no prior accounting knowledge so even beginners can pass this with great success. This is the intermediate level course and takes six months to complete. To begin this course you need to have completed the National Certificate: Bookkeeping. This is the upper-intermediate level course and takes six months to complete. The entrance requirement for this course is the Further Education and Training Certificate: Bookkeeping. This is the advanced level course and takes 12 months to complete. The entrance requirement for this course is the National Diploma: Technical Financial Accounting. This course is perfect for people who wish to gain bookkeeping and office knowledge. This course will give you the skills to be able to work the admin of any department comfortably. This is the entry level course and will take 18 months to complete. 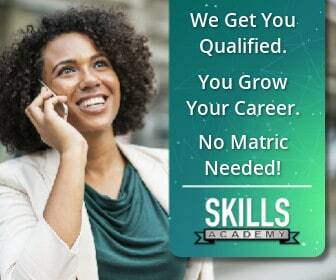 The entrance requirement for this course is Matric or equivalent. This is the intermediate level course and will take nine months to complete. The entrance requirement for this course is the Certificate: Office Administration. This is the advanced level course and will take nine months to complete. The entrance requirement for this course is the Higher Certificate: Office Administration. This is the course for you if you wish to work in finance and government agencies. You will learn all the accounting practices that are done in the public sector, as well as the laws surrounding them. This is the entry level course and will take 12 months to complete. The entrance requirement for this course is Grade 11. This is the intermediate level course and will take 12 months to complete. The entrance requirement is the National Certificate: Public Sector Accounting. This is the advanced level course and will take 12 months to complete. The entrance requirement is the Diploma: Public Sector Accounting. This is the perfect course for people who have dreams of starting their own businesses. It teaches you everything of business as well as developing ideas into reality. This is the entry level course and will take nine months to complete. The entrance requirement is Grade 11. This is the intermediate level course and will take 15 months to complete. The entrance requirement for this course is the National Certificate: Small Business Financial Management. This is the advanced level course and will take 12 months to complete. The entrance requirement for this course is the Higher Certificate: Office Administration. This is perfect for anyone who wants to manage businesses and understand their finances. This will teach you everything you need to know. This is the entry level course and will take you nine months to complete. The entrance requirement is Grade 11. This is the intermediate level course and will take you 15 months to complete. The entrance requirement is the National Certificate: Small Business Financial Management. This is the advanced level course and will take you 12 months to complete. The entrance requirement is the Higher Certificate: Office Administration. Why Study an ICB Course? The ICB has no shortage of advantages of studying their courses. The first advantage is that you can have your first accredited qualification in as little as six months. The second advantage is that the courses are accredited, but also recognised internationally. The third advantage is that you have the opportunity of registering and joining a professional body for professional membership. You can register with the ICBA, South African Institute of Tax Professionals (SAIT), The South African Institute of Business Accountants (SAIBA), International Association of Bookkeepers (IAB), and International Association of Accounting Professionals (IAAP). The ICB do not present their own courses but only do the exams. They have several training providers that take care of the rest. One such ICB accredited training provider is Skills Academy. To start an ICB course you first have to register with the training provider of your choice. After this you register on the ICB Learner Portal for your course. After this step you will be mailed your Portfolio of Evidence (PoE). Your PoE consists of three assignments and two tests to be completed at home and handed in when you write your exam. You also register yourself for your exams on the Learner Portal. Here you choose a date and venue that suits you best. Sign up now and start studying!